Earlier than our former selection by 5-7 days AND almost all the pods have three seeds! Flavor reports say it "blew away the competition." Upright plants are easy to harvest. 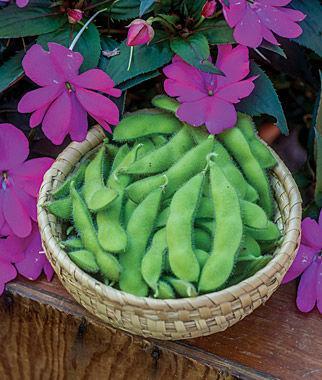 Edamame soybeans are easy to freeze for winter treats; just blanche and chill before freezing as you would other green vegetables.